The immediate future of the ruling Left Democratic Front in Kerala seems to be running into a terrible storm. The two major players in the front — the Communist Part of India (Marxist) who is the big brother and the Communist Party of India (CPI), the smaller sibling, have been at each other’s throats like never before. They have not yet parted ways and many argue that such a day may be far away considering the equations at the national level, but the coalition is certainly on a ventilator. The CPI is disgruntled, forlorn and above all immensely angry at not just the step-motherly treatment meted out to it over the last one year since the government came into power but also the non-inclusive attitude of CPM, especially Chief Minister Pinarayi Vijayan, while making crucial policy decisions, the latest being the decision of CPM to support tainted politician KM Mani and his party, the Kerala Congress (M) at the Kottayam District Panchayat election. The resentment of the smaller ally is not just at the top but is seeping through the ranks to the lowest of the party cadre and the feeling is well-entrenched, setting the stage for a bigger malaise in the days to come. 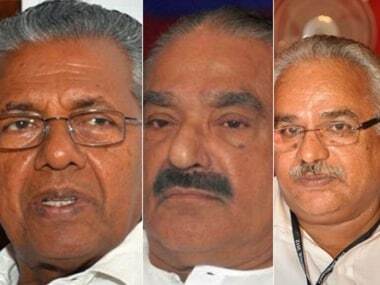 In 2016, it was an anti-Mani tirade which was the fulcrum around which the Left campaign had caught the imagination of the voters in Kerala which brought the LDF (Left Democratic Front) to power with a strong mandate. Mani, who had been the state finance minister in the erstwhile Congress-led United Democratic Front (UDF) government is accused in the Bar Bribery case (2015) along with then Congress minister K Babu. On Wednesday, when CPM decided to give support to Mani’s KC(M) in electing the new president to the Kottayam District Panchayat, it further alienated CPI from the front. 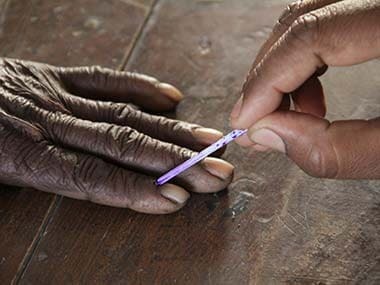 That CPI stayed away from voting in the election and then went on to condemn CPM’s stand is only a reflection of the gap widening between the two communist entities in the state. Although CPI state secretary Kanam Rajendran, an upright politician who is known to speak his mind, had downplayed the incident calling it a local issue, he had a word to say about Mani’s likely attempt to enter the Left front. "Mani's entry is not an issue that can be decided by just one political party. There is a Left front and all issues would be discussed there. At the moment, there is no such talk anywhere," Rajendran said. It is beyond doubt that CPI would oppose any such move inside the Left front by tooth and nail. A very senior leader in CPI has also added that the next meetings of the Left front would see heated discussion on the Kottayam episode and question the motive behind CPM’s open support to Mani in the panchayat election. Though the state leadership of the CPM has stayed quiet on the Kottayam episode, the national leadership has stepped in with a statement that no decision has been taken to get Mani into the front. However, a senior leader in the state committee of the CPM told FirstPost that it has no intentions of shutting the door on Mani. Can Mani be the spoiler? Mani has always been a shrewd politician who jumps the fence in search of power. Post the Kottayam episode, Mani told reporters: "This does not mean that we have filled an application to join the Left front. But then the CPM is not untouchable for us. We are not against anyone." Mani did not stop at that. "That CPI feels insecure about the whole episode is understandable. 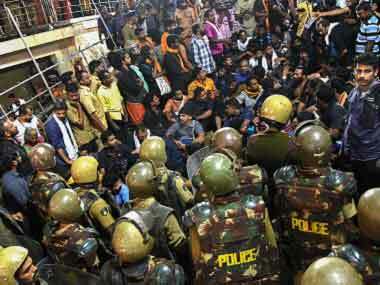 They think we will take their place," added Mani at Thiruvananthapuram. Political gurus say there is a lot to read from the Kottayam episode than what just Mani or the CPM say. Many feel that by tagging Mani along, the CPM wants to send a clear political message to CPI that it better toe the line of the big brother rather than create noises inside the front that would affect its interests. "Till yesterday Mani was a complete corrupt politician with whom it was unthinkable for the CPM to get along. Its leaders had even alleged that Mani keeps a cash counting machine at home. If the CPM has forgotten all this, then there is certainly something larger at stake and a bigger message that it wants to send out," CR Neelakandan, a well-known political activist in the state told Firstpost. 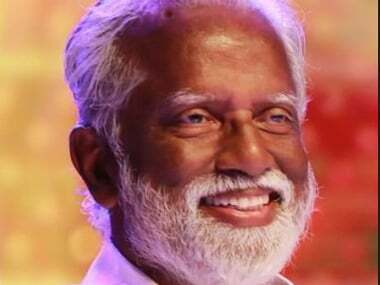 Neelakandan’s words are being echoed by the old guard in CPM like VS Achuthananthan, who on Wednesday said: "I hope what happened in Kottayam was just a mistake. I can never relate with someone like Mani coming into the front." But then many say that the words of Achuthananthan carry little weight in a party that is now being steered by a leadership which is seen as openly confronting its own trusted partner, CPI. Meanwhile, CPI is trying to put on a brave face in front of such unexpected developments. "If anyone thinks they can blackmail CPI into submission by showing Mani as their trump, then they are wrong. We have strong political principals on this issue and being a party responsible to our cadre and the people who voted for us, we will never go back on it even if we have to make some other strong decisions if it comes to that," said R Prasad, senior CPI leader and member of the state executive committee. From the alleged fake encounter of the Maoists (November 2016) to the use of the UAPA (Unlawful Activities Prevention Act) in the Law Academy, the strike by self-financed colleges (2017) to the Munnar eviction issue, the CPM and CPI have clashed with each other. But what makes it worse is the simmering resentment at the grassroots level. If local CPI leaders are to be believed, across most of the local bodies, societies and such organisations where the Left parties have an upper hand or are in power, the CPM had been treating in what many of the cadres say "as nothing but a doormat". "Whenever there is an election to a local body or a society, the CPM will resort to complete arm twisting. Say, if you have 10 seats for polls, they will reduce CPI's share to two. Then when CPI decides to go alone, they would reverse it to 6-4. This is the tactic everywhere. It’s like an open feudal mentality of the CPM. Their arrogance is unbearable. It’s like you take it or leave it," a local CPI leader from Alappuzha told Firstpost on the condition of anonymity. The Alappuzha District Panchayat had witnessed a lot of tension after CPI was denied the vice-president’s post that was promised to them earlier. In Anakkayam Panchayat in Mallapuram, there is no Left front as both the CPM and CPI fought the last elections separately. Similarly, in Kayamkulam municipality, the tensions between the two parties reached such levels that whenever there is a public meeting planned for an issue, it is held independently by both parties. In most places, the front exists only on paper. Even at the students’ level both the Student Federation of India (SFI) and All India Students Federation (AISF) have been at loggerheads over a number of issues in the state. With the National Green Tribunal (NGT) entering into the picture, it would certainly be difficult for the state government to go slow with the Munnar evictions. Hence the Revenue ministry, which is in the hands of CPI is expected to go on an eviction overdrive in the days to come. For Mani and his local party leaders in Munnar, the big showdown will come if Mani’s brother Lambodaran’s name features in the list of encroachers. Lambodaran is said to have encroached close to a whopping 250 acres of land in Munnar. If CPI decides to go public with it, then the fight between the two parties will take a new dimension. Already, both parties are on two sides with the revenue minister openly asking the district and revenue officials to go ahead with the eviction while Mani had called the Devikulam sub-collector a "mad man who needs to be sent to an asylum" for doing his job. In 2007, during Munnar's first anti-encroachment drive, the roles were reversed such that when VS Achuthananthan’s team of "cats" had come close to demolish CPI’s office, all hell broke lose and the government had to call off the mission. An untimely death of the second anti-encroachment mission is also a probability but so far at least the revenue ministry has shown intent and even CPI state secretary has openly declared that Munnar evictions will happen. A stalemate which could go either way is in the offing. Even the staunchest of the Left front’s critics are not ready to put their money on a break-up of the front. The newfound love of the CPM for Mani is also seen by many as an attempt to fish in troubled waters. Mani still holds a sizeable sway among the Christian voters in central Kerala which has traditionally kept away from the reds. Many feel that by backing Mani openly and making him accept it openly, the CPM has achieved its strategy of distancing Mani from the Congress forever. Killing two birds with one stone seems to be the strategy. Perhaps, the CPM also feels that a CPI exit can be substituted with the entry of Mani’s KC(M). But many feel it would not be as easy as it seems. "It is not easy for Mani to get into this front. Firstly, CPI will fight it by tooth and nail. Secondly, Mani’s vote bank which is the catholic Christian vote will never go with him if he jumps to the Left. Also letting CPI go will have immense ramifications at the national level. Someone like Pinarayi might have plans to get Mani in through the back door, but that’s a different matter," S Jayashankar, a political observer told Firstpost. If Mani indeed makes it to the Left front, it will also upset the applecart that the BJP was trying to build. After the BDJS experiment, the NDA had surely had its eyes on Mani’s vote bank. 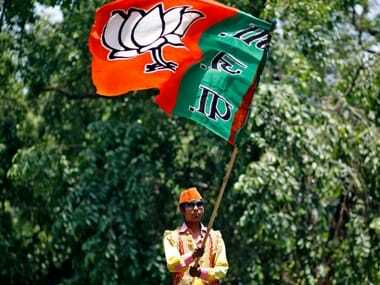 In days to come, Kerala would surely see a political churning that would ultimately lead into the 2019 parliamentary elections and closer to it the real picture will emerge.